You may have seen her sharing information about honey bees at the annual California Agriculture Day at the State Capitol, Sacramento. 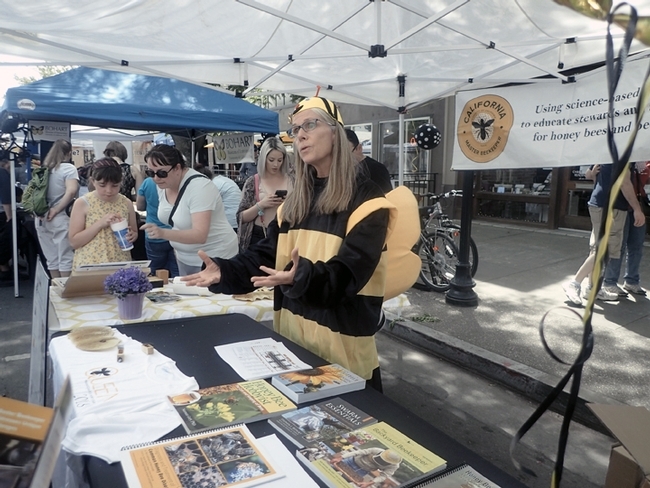 Or you may have seen her volunteering at the annual California Honey Bee Festival in Woodland, an all-day program co-sponsored by the UC Davis Honey and Pollination Center. 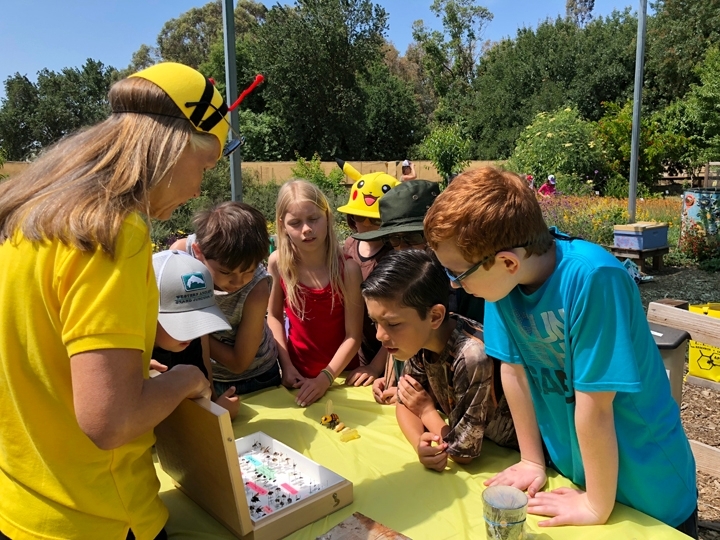 Or you may have seen her volunteering at the UC Davis Pollinator Education Program at the Häagen-Dazs Honey Bee Haven and the Harry H. Laidlaw Jr. Honey Bee Facility, UC Davis Department of Entomology and Nematology. 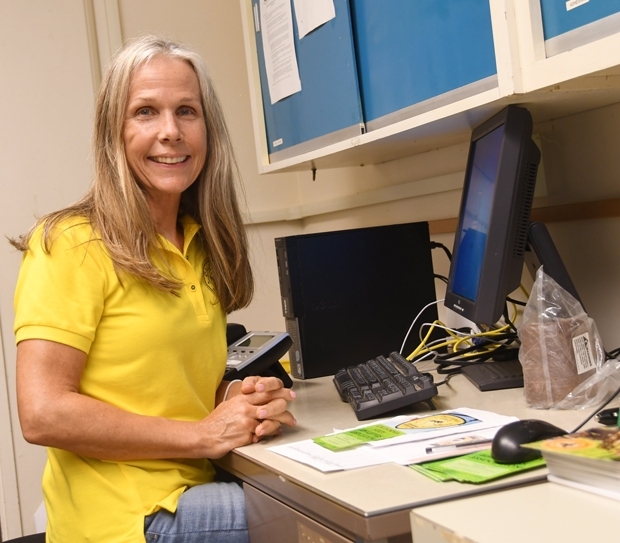 But if you enroll in the California Master Beekeeper Program (CAMBP) at UC Davis, you definitely will see her—and know her as Wendy Mather, the program manager. CAMBP, based in the UC Davis Department of Entomology and Nematology, educates stewards and ambassadors for honey bees and beekeeping. 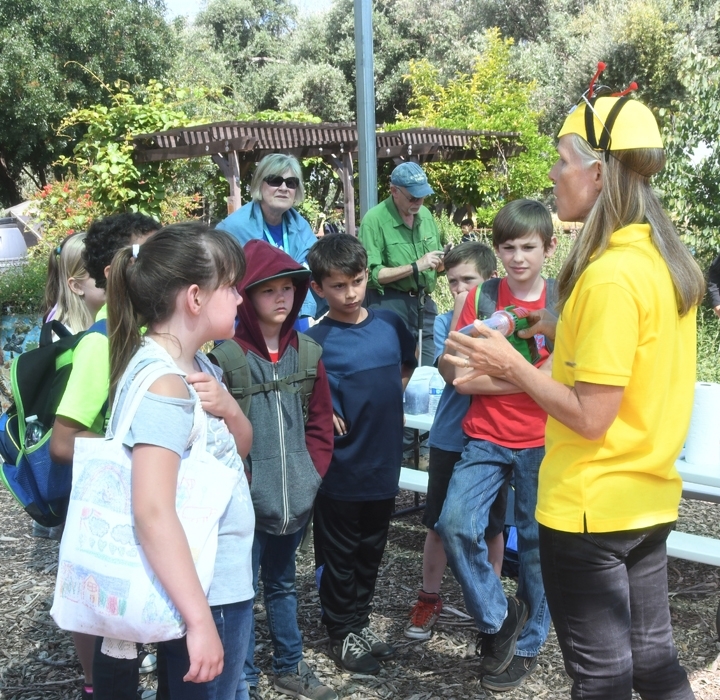 Members of the program serve as knowledgeable ambassadors who disseminate science-based information about the importance of honey bees, preserving bee health, and responsible beekeeping, Niño said. Mather succeeds founding CAMBP manager Bernardo Niño, who now heads bee research and development at UBEES Inc. He continues to works with CAMBP as its educational advisor. In 2016, 56 participants successfully passed the Apprentice Level exams and became Master Beekeepers in the Class of 2016. In 2017, 40 more joined them. Next on tap is the Apprentice Level exam for the Class of 2018. The prospective members, who all pre-registered earlier this year, will participate in the CAMBP Apprentice Exam Review on Saturday, Sept. 15, with the exam set on Sunday, Sept.15. Both will take place in the Laidlaw facility on Bee Biology Road. Mather, an El Dorado Hills resident, has been keeping bees since 2007. 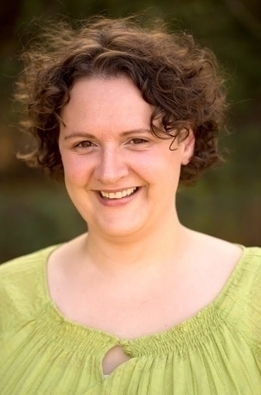 “I learned from the Tech Transfer Team at the University of Guelph in Ontario, Canada, on the job from my former boss at Nature's Own Design (NOD) Apiary Products, the manufacturer of Mite Away Quick Strips, and from the many customers I have had the honor of working with in the field.” While at NOD, she also served on the Honey Bee Health Coalition. 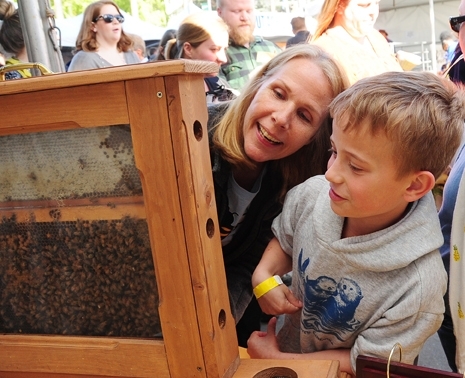 She holds a Journeyman Beekeeper Certification from the University of Montana. Active in eight beekeeping or bee-affiliated associations, Mather is a member of CSBA, Delta Beekeepers, Sacramento Area Beekeepers, Nevada City Beekeepers, Colorado State Beekeepers, American Beekeepers Federation, American Honey Producers Association and the El Dorado Beekeepers' Association (she is a past secretary). Beekeeping runs in the family. Wendy and her husband, Darrell, kept an apiary with 24 colonies in Cold Springs, Ontario, Canada before they moved to California. "Darrell and our eldest daughter, Aislyn, and I all took the 'Introduction to Beekeeping' offered through the Tech Transfer Team at the University of Guelph," Wendy said. "Darrell and I took that course twice. Darrell has successfully raised queens, too!" The couple and their three daughters participated in the extraction, packing and labeling. "Extraction weekend was also a great time for the extended family to gather and enjoy fun times together during the sweet harvest," Wendy recalled. Extension apiculturist Elina Lastro Niño directs the California Master Beekeeper Program. The California Master Beekeeper Program is the recipient of a $199,949 grant from the UC Agricultural and Natural Resources through its 2017 Competitive Grants Program. Niño is the principal investigator of the grant, titled "The California Master Beekeeper Program: Development of a Continuous Train-the-Trainer Education Effort for California Beekeepers." "Honey bees are arguably the most important managed pollinator and are used as the primary pollinator for over 30 crops in California many of which are considered specialty crops such as almonds," wrote Niño in her successful grant application. "Therefore, the food security of our state and our nation depends largely on robust and healthy honey bee populations. However, in recent years, U.S. beekeepers have been reporting annual colony losses of up to 45 percent. These losses are attributed to many pathogens and pests associated with bees, as well as pesticide exposure and lack of access to plentiful and diverse forage." "Colony losses have also prompted those who have never kept bees before to try their hand at beekeeping in an effort to help honey bee conservation," Niño pointed out. 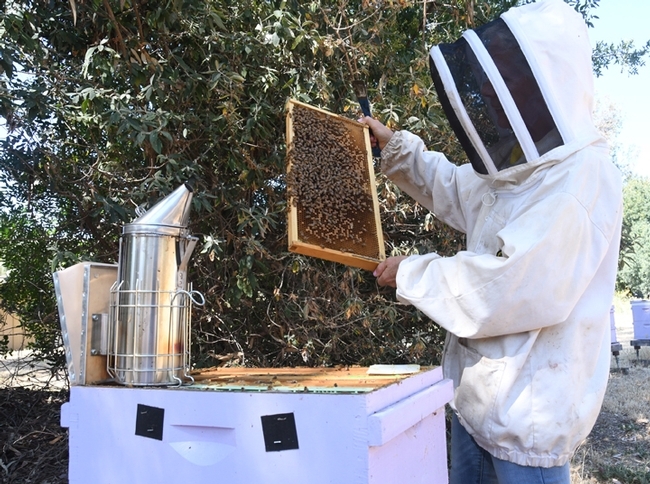 "Currently, in California there are an estimated 11,000 backyard and small-scale beekeepers, with many of them belonging to one of 35 beekeeper associations within the state. While these associations often serve as hubs of information transfer, the information provided is not always accurate or supported by research findings. 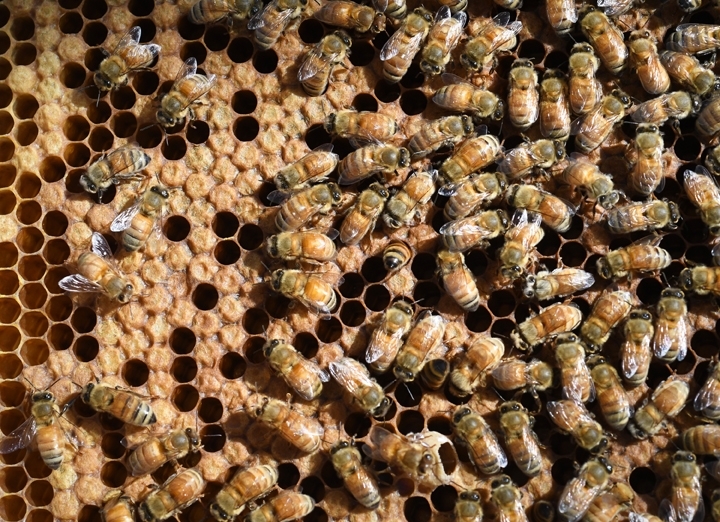 Considering the importance of California to the US agriculture and the fact that almost 80 percent of the U.S. colonies start their pollination and honey production routes in almonds, it is clear that there is an urgent need to develop a comprehensive, science-based, and state-wide apiculture curriculum." Niño noted that "Development of these educational opportunities will help minimize potentially disastrous consequences, such as increased pest and pathogen transfer or spread of Africanized bees which are considered a public-health risk, due to lack of understanding of proper honey bee husbandry. To fulfill this need we established the first-ever California Master Beekeeper Program which provides California-centric, contemporary, research-based training in apiculture." support the expansion of the program's educational apiary. 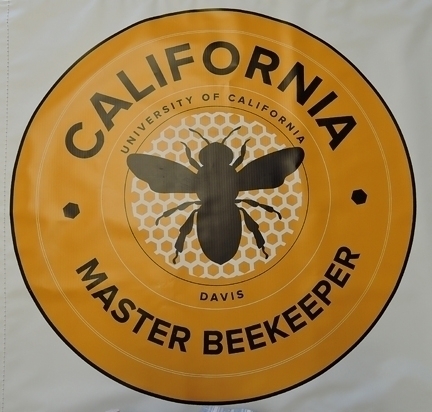 Those interested in enrolling in the California Master Beekeeper Program can find more information about the Apprentice Level at https://cambp.ucdavis.edu/levels/apprentice.